At Privia, we believe capture and proposal management should be part of an integrated business strategy, not just a time-consuming coordinating and writing exercise. The more efficient your proposal process, the more time you have to focus on quality to increase your win rates. “Privia is built for proposal management. The features and functionality of the tool lend themselves to collaborative, iterative document review cycles." Privia is a secure, web-based software application, available in the Cloud or on-premise, that helps teams plan for and respond to Requests for Proposals (RFPs). 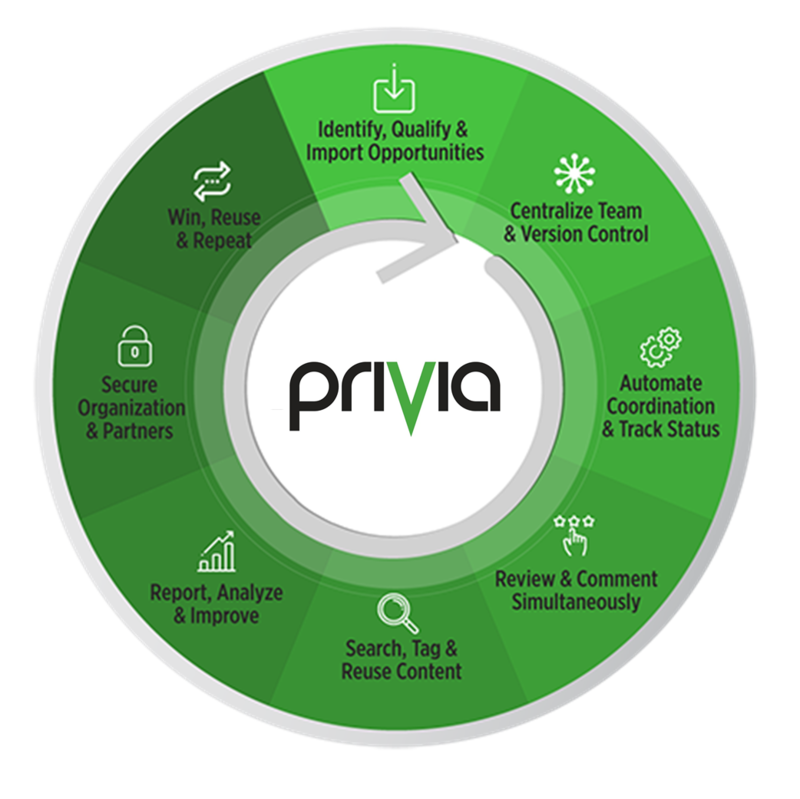 By combining an integrated suite of configurable capture and proposal management tools with best practice process workflow, simultaneous reviewing and commenting, and in-depth reporting, Privia saves time, reduces cost and helps teams improve proposal quality. Choose between Privia Enterprise, for large, geographically diverse teams, or Privia Small Business, for smaller more agile teams. 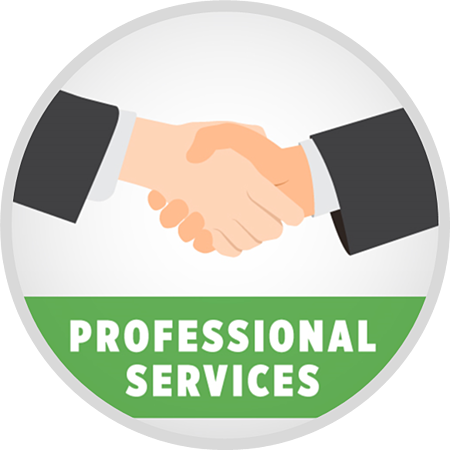 Then add Privia Professional Services to ensure your environment and team are operating at peak efficiency and effectiveness. Import opportunity and account information with out-of-the-box FedBizOpps, GovWin, SalesForce, and SugarCRM integrations - and jump start your proposal effort today. Quickly establish secure, centralized workspaces for managing teams and content, tasks and reviews – from opportunities and proposals to content libraries, past performances, resumes, and contracts – and automatically manage version control. Keep your team in sync with less effort; design and reuse best practice workflows that support your process with triggered notifications and alerts that help you keep your team on deadline. Keep your team in step, each step of the way – from kick-off, assignments, and tasks through writing, reviewing, and editing – with centralized, real-time, web calendaring for milestones, deadlines, and business-critical notes curated by your proposal manager. Assign team tasks and deadlines to support and drive your process, send and trigger notifications to keep your team on track, know who is writing and reviewing – and when they are done – and where the bottlenecks are before they become delays - all through a single interface. Quickly search and filter content, using keywords, Boolean logic, and an algorithm similar to Google, then preview, copy, and paste right from the results pane – including graphics. Real-time review collaboration that builds off differing perspectives and advances proposal quality without impacting your content – no review folders needed, the comments live with the document version. Track real-time status and analyze historical performance with standard, custom, and ad hoc configurable reports and dashboards – use rules to automatically generate regular reports and facilitate a nearly limitless variety of data displays and analysis including KPIs. Secure your content and team with multi-tier security designed specifically for online collaborative proposal development. Highly configurable permissions and access controls keeps data safe without locking out partners and subcontractors – including in Sensitive Compartmented Information Facilitis (SCIFs) and other classified and sensitive environments. Learn more here. Privia is available On-Premise, in the Cloud or the Government Cloud to deliver maximum flexibility, including organizations choosing to deploy within a SCIF or other classified and sensitive environments. Reuse effective workspaces, including folder structure and documents, workflow and security access, to save time, lend consistency and jump start your next proposal more quickly. Ready to Get Started with Privia?